Now I have a good news for all those people who are eagerly waiting for the Jio Phone. Post-Independence Day Jio Phones will be launched into the marketplace as a beta trial in the country; some of the people will have access to try the 4G smartphone. Mostly Public will receive Jio VoLTE smartphone from the September month and plenty of the pre-order. 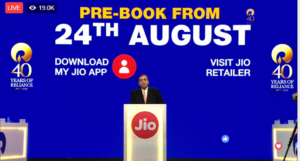 Mukesh Ambani has announced that Jio Phone pre-bookings will begin from August 24 and the process will be both in Online and offline. 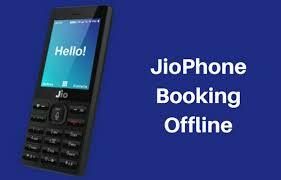 TBS will guide you how to register your Jio Phone online and online, in the below segment you can find the complete process. 1. 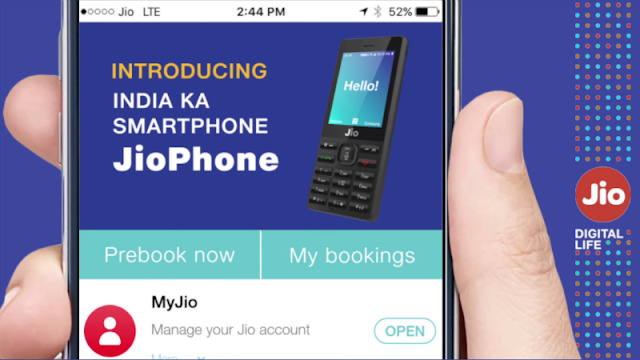 If you are the existing user of Jio, then you can place an order for Jio Phone by tomorrow 24th August via MyJio App. Before that signup for updates on Jio.com portal and Click on Keep Me Posted and completed the details in the form. 2. If you have own business or any company you need to give company's PAN or GSTN number. 3. Also, enter how much units of Jio Phone you require. The bulk orders also available starting from 50. 4. Once registration process is done, then you will receive complete info of Jio Phone launch by SMS or an email. If you don’t have MyJio app, then you can visit to Jio retailer on August 24th directly. If you place an order on same day of booking, then you will receive your phone in september month. This Smartphone will be delivered on early bird service basis. Approximately 5 Million Jio-Phone are planned to be delivered in every week of september. Jio Phone can be free but, Mukesh Ambani has announced that everyone need to pay Rs. 1500 at the time of booking which will be refundable after some time. Jio AGM has declared about Rs.1500 is security deposit- "The security deposit is essential to avoid any probable misuse of power". Conclusion: Any changes that may bring forward by Jio is solely a matter of company's decision. TBS is not responsible for any differences in the details provided, and user who would like to buy this Jio Phone can do so at his/her own discretion.